Roger Martin shared this trailer for sale. 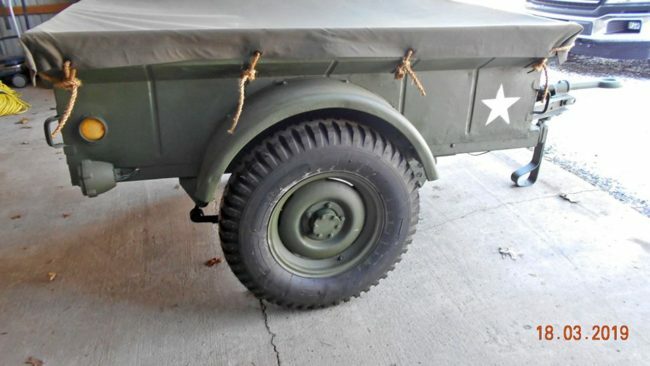 Note the handles on trailer corners. With that you can take his word..’51. Good morning. Looks like you find lots of stuff that you share with Dave and the rest of us. Thank you. Nice trailer by the way. Joe: Thanks for your insight on the year. I’ve updated the post. Bob I’ve been sitting around all winter healing up from shoulder surgery and spending too much time with my Jeep Addiction on the computer looking at Jeeps dreming. I thought I would help Dave out with his ewillys site. Dave does a lot for us jeep nuts and he has had a rough row to hoe lately I know I just went through it with my mother from November to January.